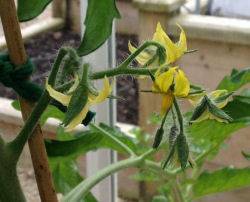 Our tomato plants have now begun floweriing in the greenhouse, so next week we will give them a foliar feed wth epsom salts and also begin feeding them with liquid tomato feed. 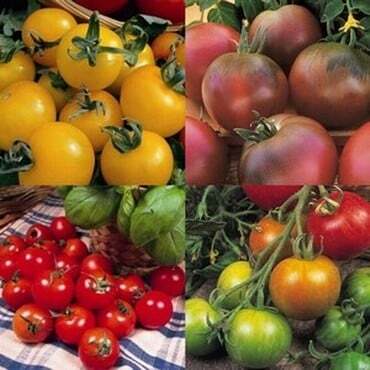 The tomato feed will continue each week throughout the growing season. This week in Stephanie’s Kitchen Garden, we have been planting out our brussel sprout plants. These were sown from seed in the greenhouse back at the end of February and transferred to our cold frame where they have been growing on. The ground has already been dug over and had farmyard manure added to it along with lime to keep the soil PH at the right level. 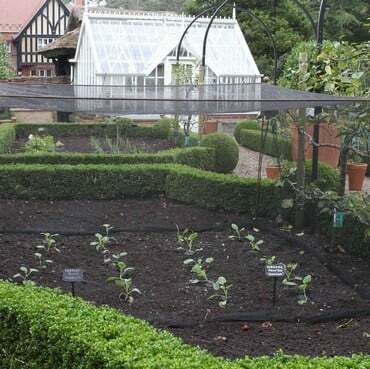 We will add cabbage collars to each of the plants before the vegetable cage is placed over them to keep them safe for the season. 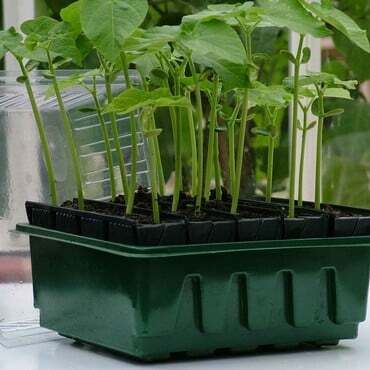 Also in the greenhouse, we will be sowing our climbing french bean annd runner bean seeds in rootrainers. Sowing them early under cover will give us a head start as they will be good sized plants when they are ready to plant out in mid May. The leaves on our apple trees are now beginning to unfurl. Next week we will begin treating them to a weekly spray of epsom salts until the leaves are fully developed. This will encourage healthy foliage which should be less suceptable to disease. This feed also benefits roses and helps them to resist black spot, so we will also be spraying the rose plants in the surrounding grounds.